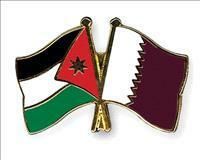 AMMONNEWS - Minister of State for Investment Affairs and head of the Jordan Investment Commission (JIC) Muhannad Shehadeh discussed in Doha with Qatari Prime Minister and Interior Minister Sheikh Abdullah Bin Nasser Bin Khalifa Al Thani, means to forge closer cooperation between Jordan and Qatar, mainly in the investment field. A statement by the JIC on Tuesday said Shehadeh met with Qatari Deputy Prime Minister and Foreign Minister Sheikh Mohammad Bin Abdul Rahman Al Thani and Finance Minister Ali Sharif Al Emadi , and discussed means to increase Qatari investments in the Kingdom as part of package of investments in infrastructure projects in Jordan valued at $500 million that was ordered by the Emir of Qatar Sheikh Tamim Bin Hamad Al Thani two months ago. The minister pointed out that a number of projects have been presented in a number of different sectors with a focus on energy and tourism. Shehadeh explained that these projects will provide job opportunities for Jordanians as it is the first challenge to the Jordanian government. "The Jordan Investment Commission welcomes any foreign investment projects that will help in achieving economic growth and combating unemployment," Shehadeh said. Qatar announced last June that it would provide 10,000 jobs for Jordanians in the Gulf state, in addition to a package of investments in infrastructure projects in Jordan valued at $500 million.